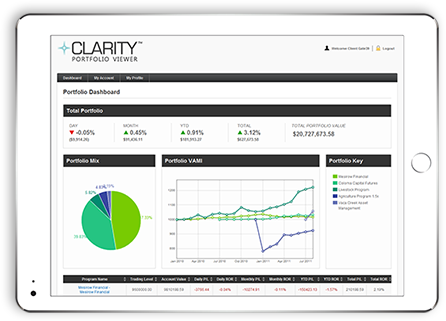 Clarity Portfolio Viewer provides investors with a complete view of their managed futures portfolio. Total performance across all programs and individual programs are calculated and displayed online in easy to read charts, graphs and tables including iPad and smartphone friendly formats. Reports and other features for sales teams and management provide company-wide data on the accounts they manage including sales, investors by program, winners / losers, and much more. Clarity is white-labeled with your logo and custom URL. 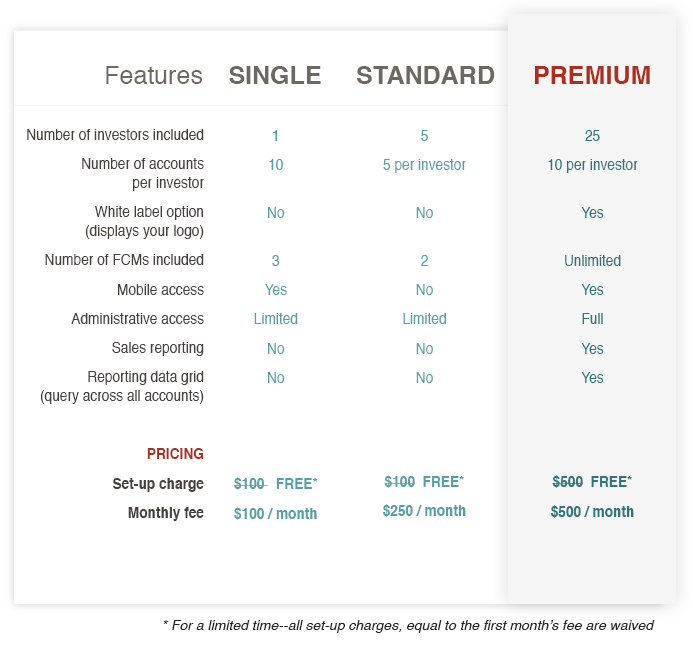 Clarity turns the task of interpreting multiple, unreadable, mainframe generated statements by providing investors with beautiful, understandable, web-based, portfolio reports that provide an a clearer picture of their investment performance. NOTE: Clarity Portfolio Viewer provides additional insight into a managed futures portfolio, but is not a replacement for a futures account statement provided by a clearing firm. Learn more about the Clarity Portfolio Viewer.